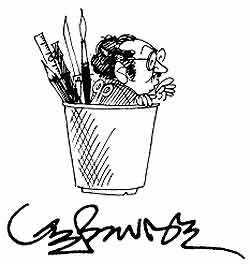 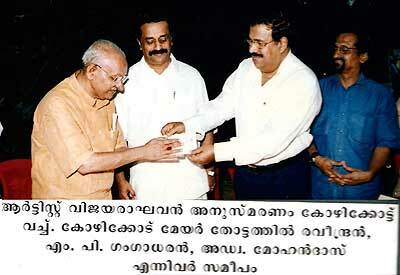 DIG M Krishnan Nair speak during the realease of Asadhu, Yesudasan's political satire magazine at Quilon. 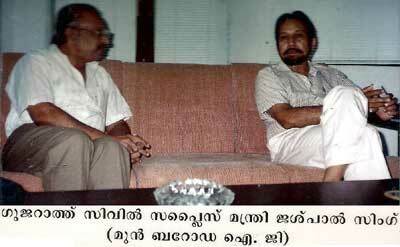 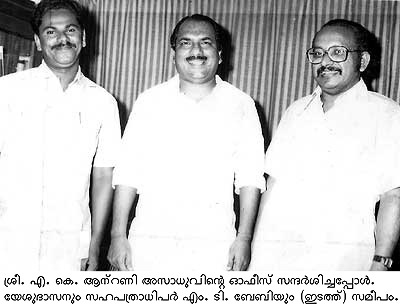 Yesudasan with PV Gangadharan, Calicut Mayor Thottathil Raveendran and Advovate Raveendran during Artist Vijayaraghavan memorial lecture at Calicut. 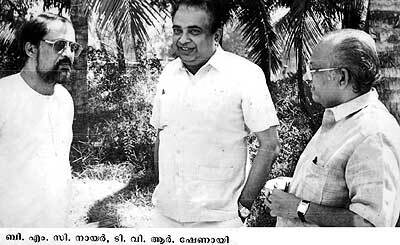 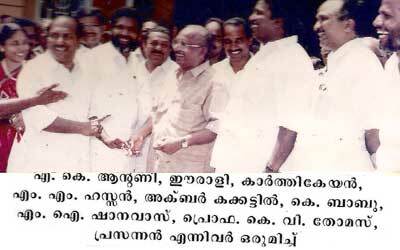 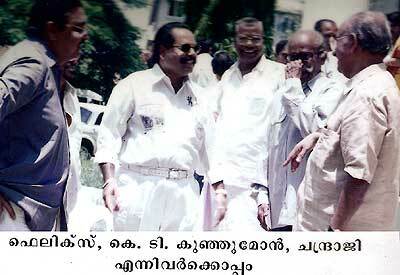 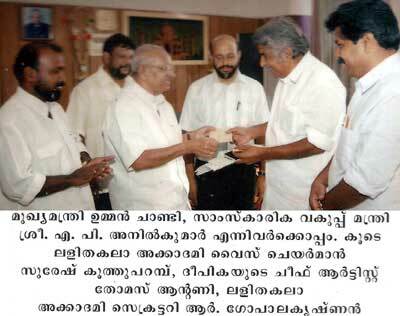 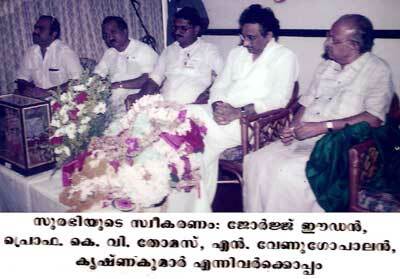 (Left to Right) Eaden MLA, Prof KV Thomas MLA, N Venugopalan, Union Defence Minister Krishnakumar and Yesudasan. 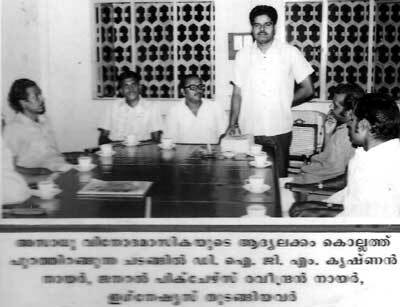 With Union Minister for Civil Supplies AK Antony, Karthikeyan, MM Hassan, writer Akbar Kakkattil, K Babu MLA, MI Shanavaz and Prof KV Thomas MLA. 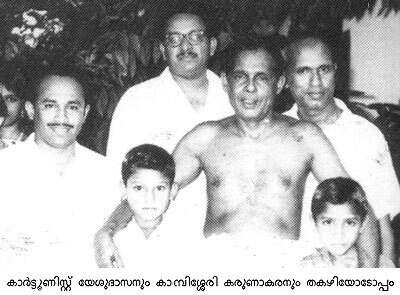 Yesudasan with the Chief Minister of Kerala, Shri Oomen Chandy, Minister for Culture Shri MP Anilkumar, Deepika Chief Artist Thomas Antony, Kerala Lalithakala Akademi Secretary R Gopalakrishnan.